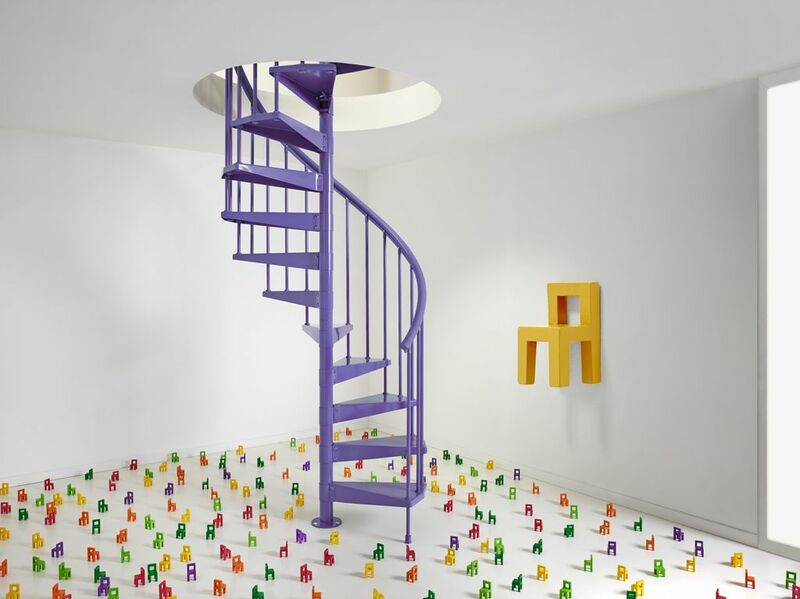 Clip is an ingenious indoor staircase designed to not go unnoticed. 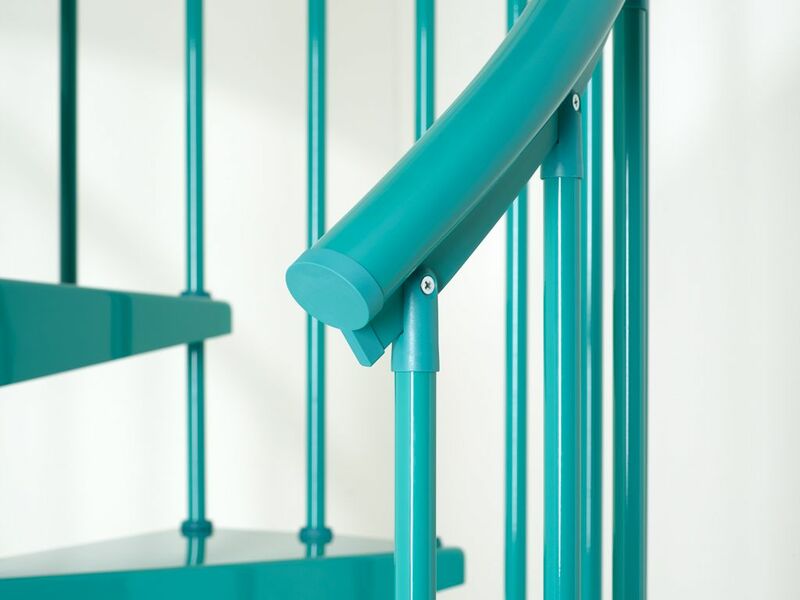 Thanks to the innovative tread sleeve fastened to the central pole with a vice-like system, the Clip kit staircase is easy to install not requiring any spacers. 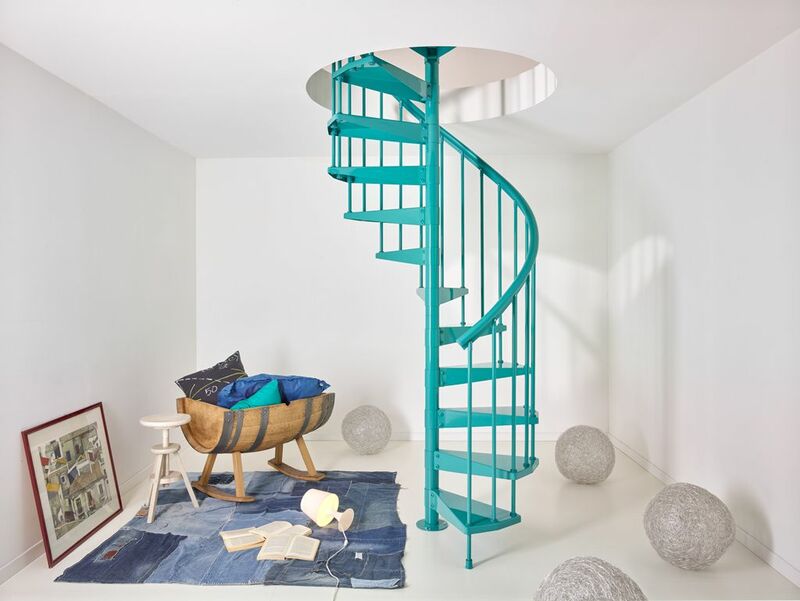 What’s more, a fresh and young design, a steel structure and 6 vibrant colours are the right ingredients to make the Clip spiral staircase a modern and functional furnishing element. 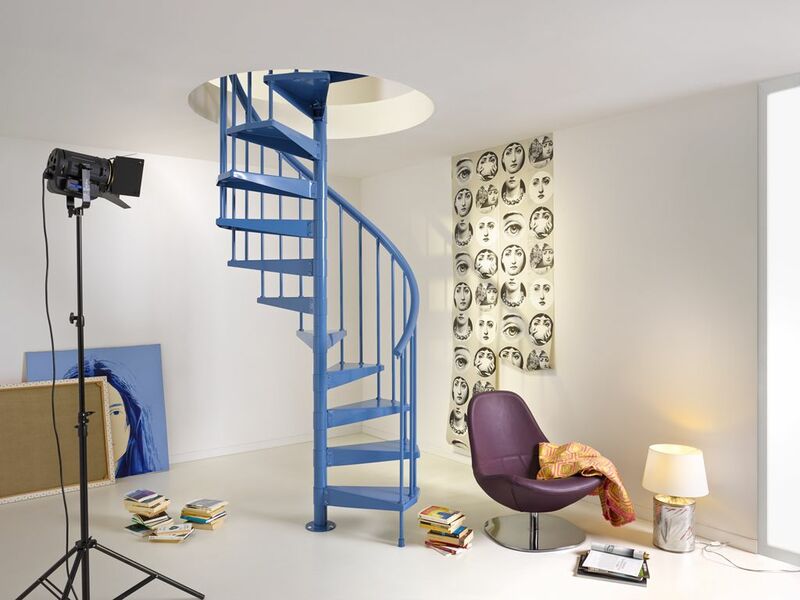 The Clip spiral staircase is 120cm in diameter, made up of 11, 12, 13 or 14 rises complete with railing, and can reach a maximum height of 350 cm. 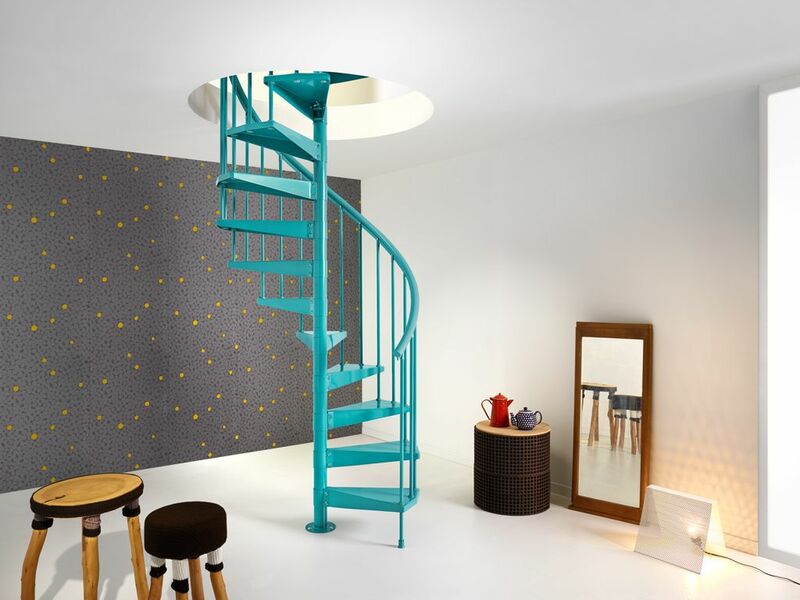 The staircase is characterised by a universal landing so that it can be installed in openings of any shape and size. 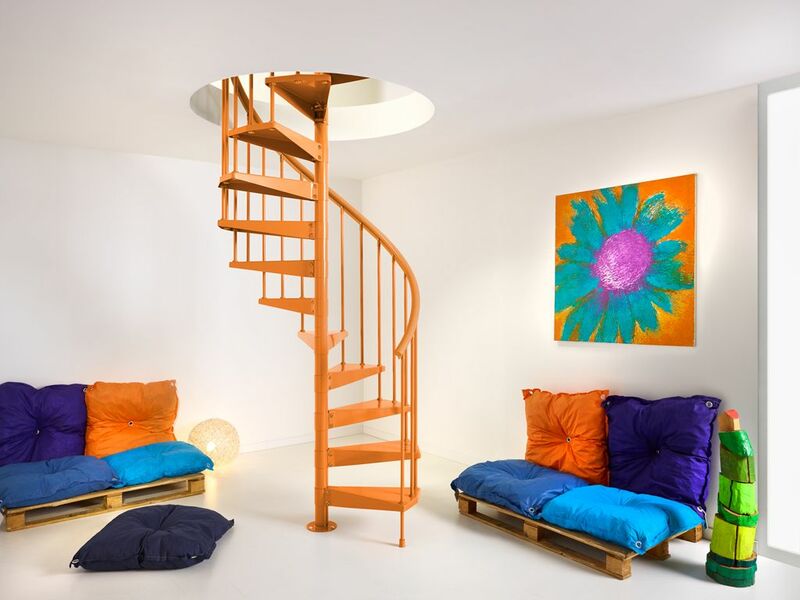 You can vary the staircase height between 215 and 350cm to suit your needs. 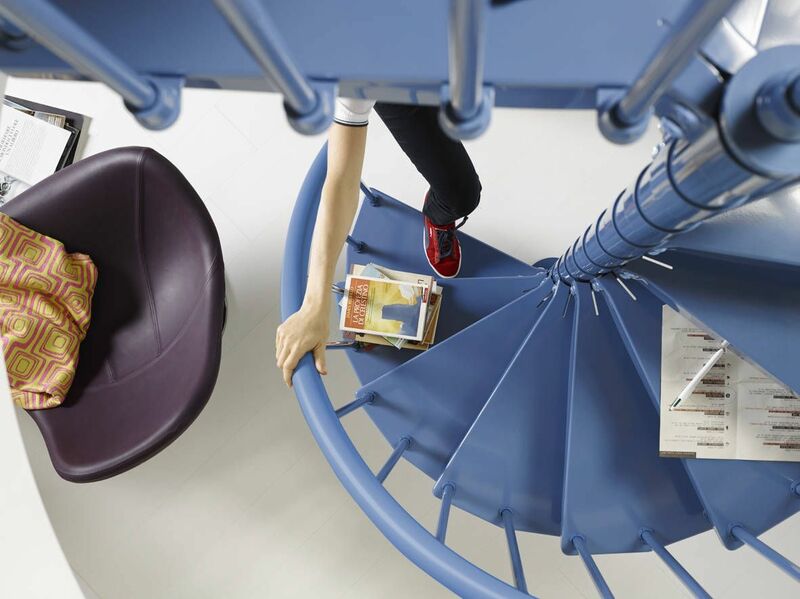 The standard kit is composed of 10 treads + 1 landing and the height is adjustable between 215 and 275 cm. 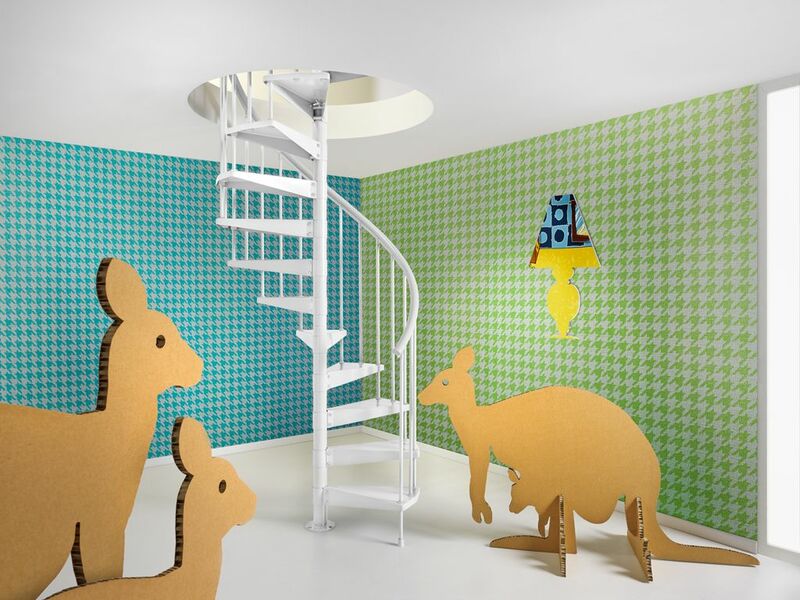 For particular requirements, kits containing 14 rises (13 treads and 1 landing) are available so that you can reach a height of up to 350cm. 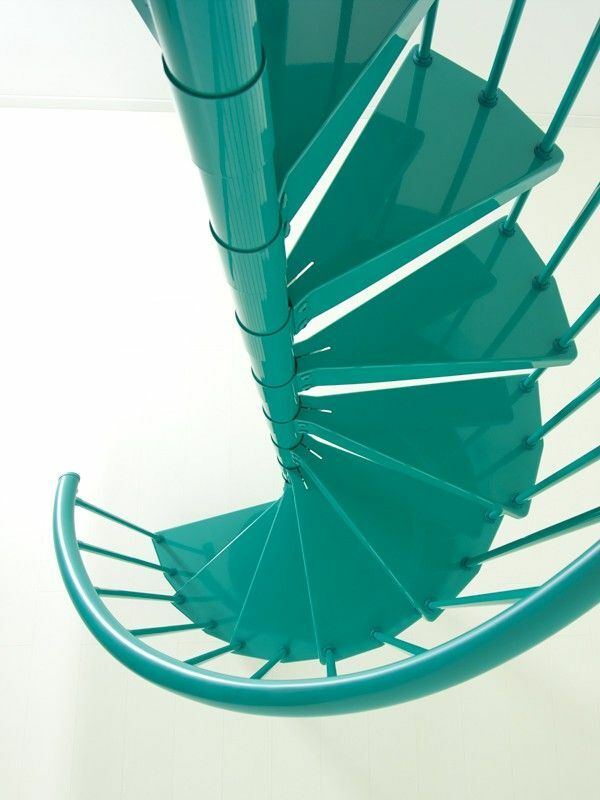 The Clip staircase treads are made from a single sheet of steel. 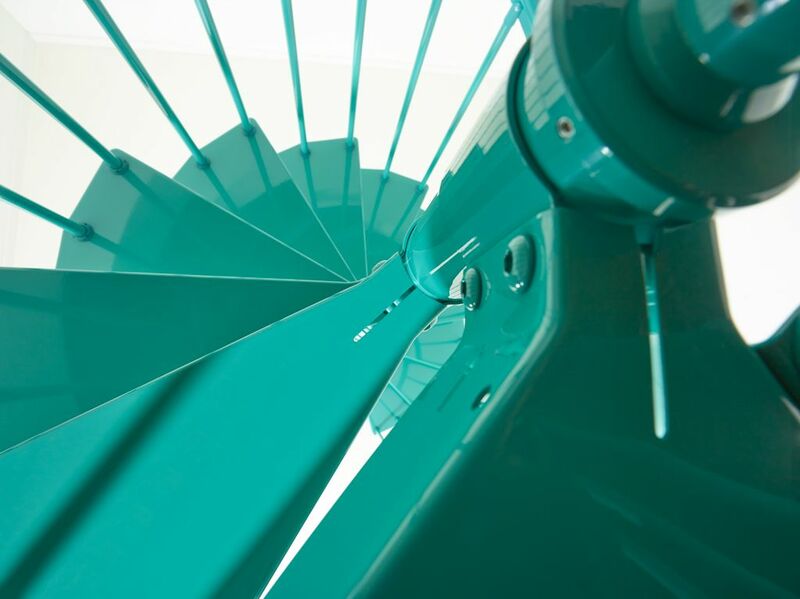 Depending on the height, Clip can be composed of 11 to 14 treads. Also the tread rise is adjustable between 19 and 24 cm depending on the installation. The innovative vice-like system allows fastening the tread directly to the central pole not requiring any spacers. Clip comes in 6 finish colours: white, black, blue, green, orange and violet. Clip can be installed in any type of hole or opening. A hole diameter (or side length in case of a square hole) of at least 125cm is recommended.